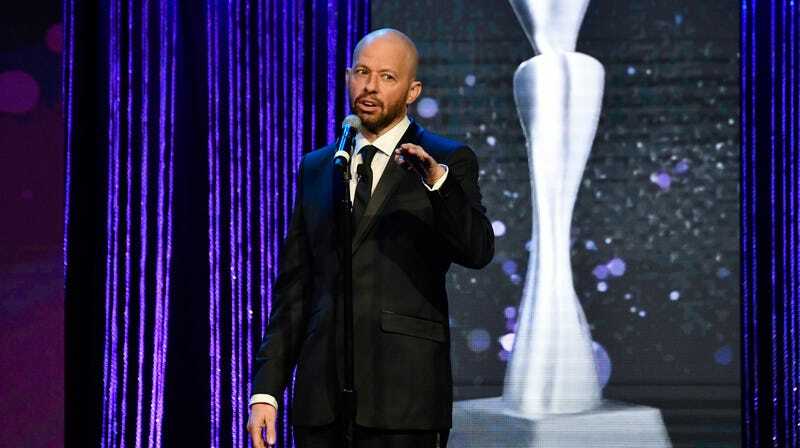 Having spent more than a decade of his professional life in close proximity to one of Hollywood’s most treasured sources of narcissistic, self-obsessed excess, former Two And A Half Men star Jon Cryer is ready to put his real-world supervillain internship experience to work. Per The Hollywood Reporter, Cryer has just been cast as iconic Superman baddie Lex Luthor for The CW’s Supergirl (and, presumably, the wider TV superhero Berlanti-verse). Winning! Cryer joins a long line of beloved (and frequently balding) actors who’ve played the character over the years, from Gene Hackman, to Kevin Spacey (oh well), to Jesse Eisenberg and—in TV—Michael Rosenbaum and John Shea. (Oh, and the always-wonderful Clancy Brown; can’t forget the animated shows.) It’s always been a meaty part, with the best portrayals combining the charismatic hucksterism of the modern “self-made man of business” type with a seething arrogance toward the rest of the species. Cryer, of course, already has his own in-roads with the Luthor family; he co-starred opposite Hackman in the much-maligned Superman IV, playing Lex’s nephew/lackey Lenny. He’ll make his first appearance as Lex proper on the fifteenth episode of Supergirl’s fourth season, which will air some time in 2019. The part will be a recurring one, unsurprisingly; you don’t bust out Lex Luthor and his big purple-and-green battlesuit (or Emmy-winner Cryer, for that matter) for a single-episode stint, after all. What the hell? Someone took out a hit on Jon Cryer?